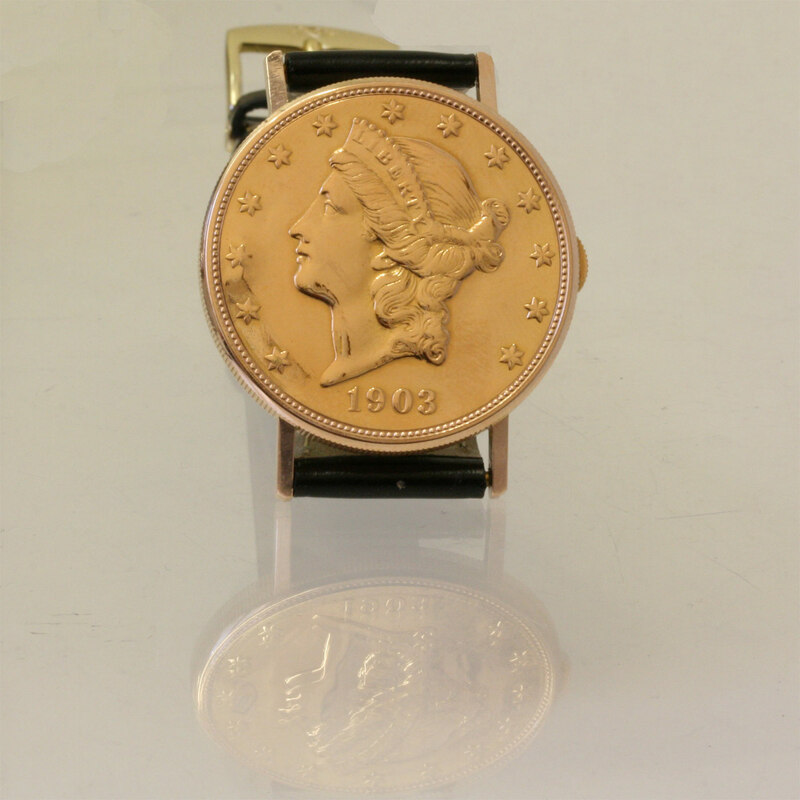 18ct Favre Leuba coin watch. 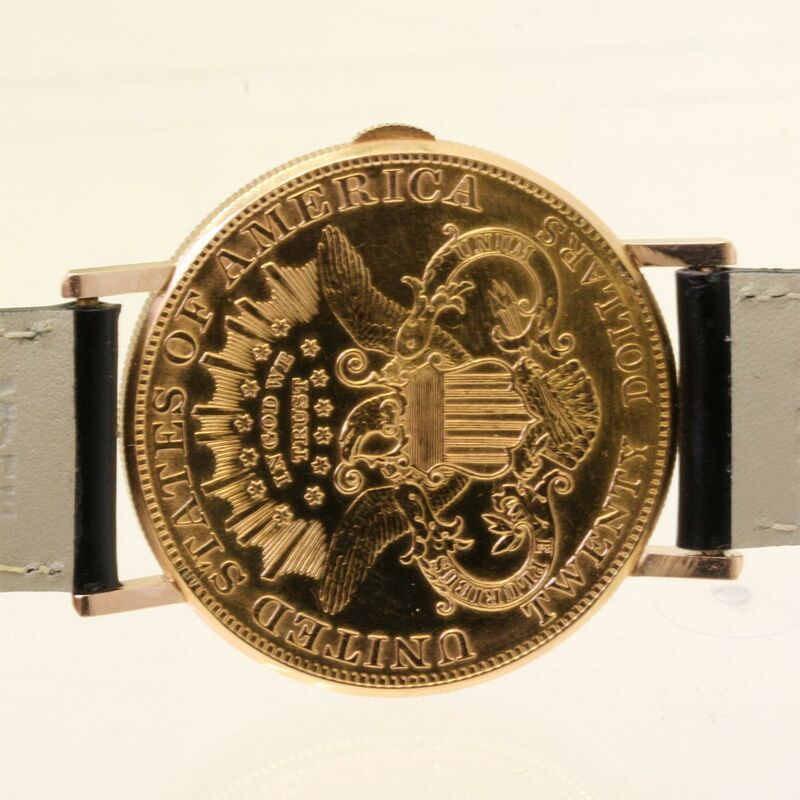 Product code: 785 Categories: Sold Items, Sold Watches. This watch is sensational in all respects. 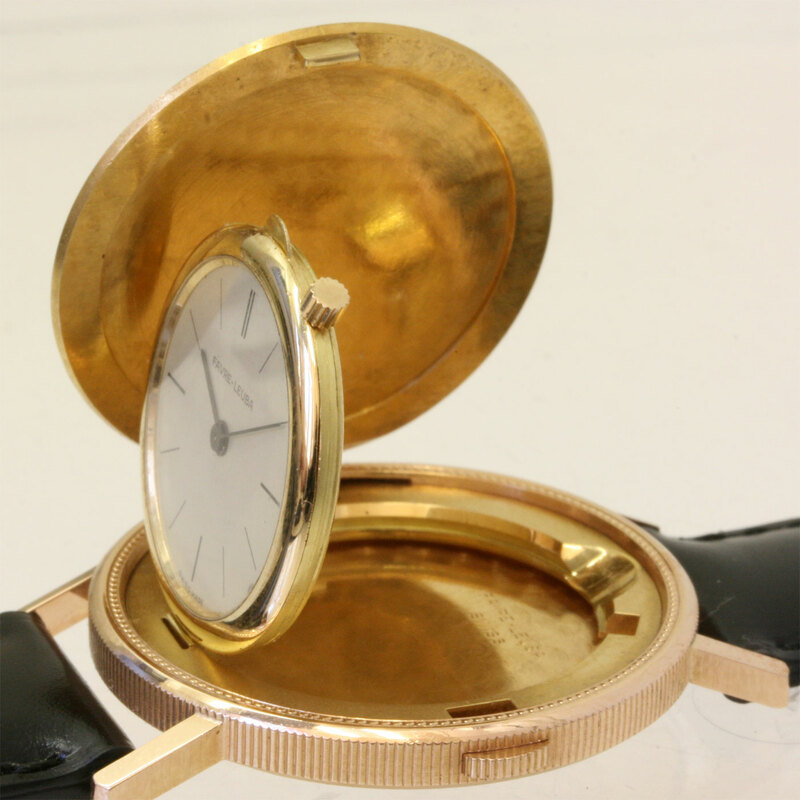 Made by one of the oldest watch making firms, this is the gents 18ct solid gold coin watch by Favre-Leuba. The movement is a manual wind movement of extreme quality. Made so amazingly thin, it is the same thickness of many quartz watches out there. It is fully jewelled and adjusted to 5 positions – as high as a Chronometer rated watch. The other images show just how slim and fine this movement is. The case measures 34mm across and looks superb with any suit. If you are after a watch of extreme elegance, style and quality, then this may just be the one.